South Island School strives to help all students realise their full potential and provides an inclusive education for students who have a wide range of abilities. The Individual Needs Department works in partnership with teachers, parents, ESF and other external agencies to support all students. It is a school-based, problem solving team delivering additional expertise and resources to empower all students to achieve their goals and experience success. Individual Needs teachers provide professional expertise to colleagues to promote a philosophy which values academic, social and cultural diversity and inclusion. The department also has a large team of Educational Assistants. Educational Assistants assist in the education and supervision of students. South Island School uses an inclusive model in which students are primarily supported within the classroom to access a broad and balanced curriculum. South Island School can also request parents, under certain circumstances, to employ an Educational Assistant to support their child for reasons such as health and personal care, safety of students and staff, and curriculum access. For a student to have a parent funded EA, the student would normally be on the register at LOA3/4. 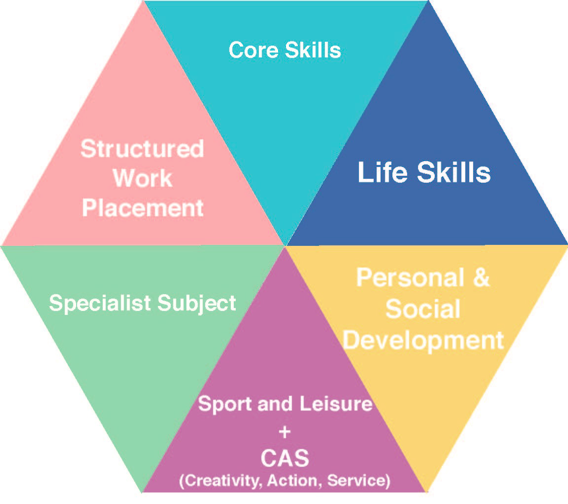 The Individual Needs Department caters for a diverse range of learning needs following the identification of need based on the 6 ‘Dimensions of Schooling’ and ESF ‘Levels of Adjustment’ 1 to 4. Level of Adjustment 2: Subject teachers and Individual Needs teachers liaise to establish appropriate programs of intervention. Level of Adjustment 3 & 4 (Learning Support Class): The school currently has provision for 24 students, who have a wide range of moderate/complex learning needs. These students constitute a Learning Support Class with special funding arrangements. These students follow a highly differentiated curriculum in the Learning Support Centre with a guided programme of inclusion in mainstream classes where appropriate. The register is not a fixed entity, students may be added, removed or move between levels according to their particular circumstances and the outcomes from placement reviews. Parents will receive, for their approval, an Individual Education Plan (IEP – LOA 2/3/4). This IEP takes into account the student’s strengths and needs and identifies learning expectations. A student may have several components to their IEP according their needs. IEPs provide a framework for communicating information about the student and they help teachers and parents monitor and support progress. IEPs are reviewed twice per year, in December and June. Every LOA1/2 student has a Individual Needs teacher who is responsible for liaising with teachers, tutors and home to monitor and support student’s development, progress and welfare. An Individual Education Plan (IEP) that details provision and strategies to support the students which are shared and implemented by the students classroom teachers. Parents and students also contribute to this process. 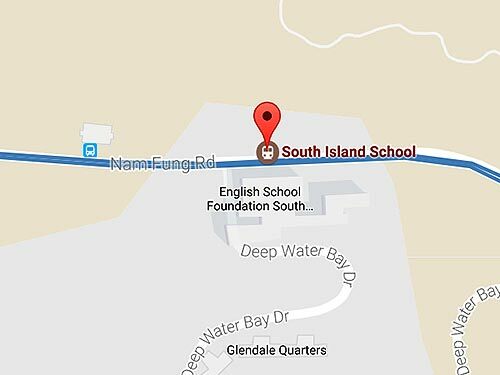 Ms. Jean McPherson is the ESF Educational psychologist for South Island School. She has three scheduled visits per term. She is available for individual assessments, training, advice and guidance to staff. The Director of Inclusion coordinates these visits and the day’s programme. An extra transition visit can be arranged for students who may be anxious about moving up to secondary school. We hold case conferences with teachers to provide additional expertise for students with more complex needs. The Emotional Literacy Support Programme (ELSA) is an individualised intervention programme run by trained Educational Assistants. South Island School recognises that children learn better and are happier in school if their emotional needs are also addressed. The ELSA Programme supports pupils with a range of social and emotional needs such as social skills, emotions, bereavement, social stories and therapeutic stories, anger management, self-esteem and friendship. The ELSA Programme runs on Tuesday mornings from 9-10am. Students may face many issues as they grow up, be it peer pressure, academic struggles or adapting to a new school. Apart from approaching their tutors or the Head of House or Learning Family Head, we also encourage students to use our counselling service as an additional, confidential support to help them address difficulties that affect their social, emotional or intellectual wellbeing. We believe that students will benefit from counselling after improving their self-awareness and wellbeing. We offer students two qualified counselors who visit the school regularly. As well as counselling, Kamy also offers group services such as We-Serve community service Team, Anti-Drug Force Group, Anti-cyber-bullying Group and organises various community services for the students. She is available in school on Mondays, Tuesdays & Fridays. Carmen is a fully trained counselling psychologist from St John’s Cathedral Counselling Service (SJCS). She also graduated from South Island School and has received her postgraduate degrees in UK & US respectively. She has experience working with teens and children with special needs. She believes each student is unique and is willing to listen and work together to find a solution. In general, students are offered ways of tackling areas, such as self-esteem, anger management, communication skills, anxiety and depression. Carmen is available in school every Thursday. South Island School collaborates with Rehabilitation Consultants to provide in-school Speech and Language Therapy services for students. Therapy service is provided by a qualified professional Speech and Language Therapist during school hours on an individual or group basis and the service is privately funded by parents. Timetabling of this provision is organized and managed by the Individual Needs Department. Speech sessions will focus on the needs of each individual student and may address the following: articulation/speech, language skills (receptive and expressive language including reading and writing), social communication skills, attention/memory, cognitive-linguistic skills, voice problems, oral-motor skills. The decision at this stage is made based on the student’s learning attitude and progress throughout Year 7: class engagement, progress check cards, class work, participation in mathematics competitions. Students in pathway A are expected to show a special interest for the subject, expressed not only through good achievements during assessments but also through enthusiastic class participation, consistently high quality of work in class and at home and engagement with mathematics competitions. All pathways spend a similar amount of time on each unit, with pathway C students focusing more on developing a basic understanding of concepts and working on numeracy skills and students in pathway A working on links between different concepts, conjecturing and generalizing. All students start an IGCSE syllabus in Year 9. The difference between the pathways is defined at this point by the tier of exam entry and by the examination taken. Students in pathways A and B will take the Higher Tier of the IGCSE examination with the Pathway A taking the IGCSE exam earlier than Pathway B (January and June Respectively). Pathway C students will be taking the Foundation Tier. The highest grade that can be obtained in the Foundation Tier is a C (or 5, in the new IGCSE grading system with the first examination May 2019). The Skills for Learning (S4L) course is for students who require a greater level of support with their study skills. Students are taught a range of study and revision skills (e.g. Organisation, Executive Functioning, Thinking & Learning, Social Communication skills) in the lessons. For Year 7-8, S4L takes place instead of InterD. In year 9 S4L takes place instead of an option. In Year 10-11, the classes take place instead of one option and benefit students by allowing them to spend more time working on specific skills required for GCSE such as organisation, self-discipline, effective internet research, note taking, flashcards, writing frames, graphic organisers, understanding command terms, practicing past papers and creating a study timetable, It also allows students to spend more time working on their other subjects while receiving support from one of our Individual Needs teachers. Access arrangements provide a range of accommodations to ensure that students with learning/physical/psychological difficulties are not disadvantaged in an exam or timed assessment by being unable to show what they know or can do due to their difficulties. What are the possible arrangements available? Some examples of possible arrangements that are available are listed below. They are only broad guidelines. What are the requirements to qualify for access arrangement(s)? *EAL difficulties are not considered valid reasons to apply for access arrangements. **Access arrangements are not guaranteed for all students with learning difficulties. Each case is assessed and evaluated on an individual basis by the exam boards (i.e. JCQ, IBO). For Year 7-9, access arrangements will be given by subject teachers should a student be unable to show their understanding in an assessment under ‘typical’ conditions. The arrangements will be recorded as the evidence for the history of needs, history of provision and normal way of working. For Year 10-13, access arrangements are available for GCSEs and IB programs. Access arrangements are applied for through the IN Department and the Examination Office. Assessments to determine eligibility are carried out by Individual Needs Specialists (RQTU) or a qualified educational/clinical psychologist or a psychiatrist depending on the student’s needs. At South Island School LSC students’ learning needs are catered to in a variety of ways. Each student has a place in the regular mainstream tutor groups but their curriculum provision depends on their individual learning needs. The IN department regularly reviews the suitability of subjects by monitoring academic progress and engagement in learning. The department also evaluates whether the subject/course is at an appropriate learning level and accessible for individual students. Students who require less extensive support and adaptations to teaching and learning, access a full mainstream curriculum. However, students who require higher levels of support or adaptations follow a differentiated curriculum in the LSC. It is also possible for students to follow a ‘mixed’ timetable of mainstream and LSC subjects/courses, depending on the individual student’s strengths and learning needs. At various times there are also many smaller events such as subject-based trips to museums, theatres and charity fundraisers. To organize activities which benefit the department and students e.g. fundraising events. Gatherings are held termly with social events organised throughout the year. Everyday science where students learn the importance of science in everyday situations. Using scientific methods to conduct investigations, make predictions and evaluate their findings. Practical experiments are carried out on a regular basis to consolidate understanding and learning. Key Steps is a comprehensive programme of activities in a range of topic areas covering Citizenship, PSHE, Environment Education, Personal Finance Education, Enterprise and Internationalism. The flexibility and range of Key Steps means that it can be followed for up to three years or for less than one year. Learners complete challenges and collate the work they produce in a portfolio of evidence, along with their student book and recording documents. Students must complete 30 hours of challenges to achieve each certificate. Students may achieve up to three certificates. The SIS Diploma is designed to prepare students with complex learning needs in our Learning Support Class (LSC) for work, education and life after Year 13. It is a two – four year personalised course which matches the strengths and needs of each student. It is structured to develop self-confidence, life and independence skills, as well as offering work related learning courses. Taught within the LSC and in some mainstream lessons, students undertake a variety of courses/activities in order to learn work skills and to continue to develop basic skills and social skills in a supported setting. This course provides students with an established Personal Development Programme (Bronze, Silver) leading to accredited qualifications that explicitly enhances skills for learning, skills for employment and skills for life. Both levels, Bronze and Silver are run in a two-year cycle expecting students to accumulate credits in order to access the next level. Students complete a number of challenges from the 13 modules compiling evidence in a portfolio to show their acquired skills and achievements. The course contains the following modules: Combined Studies; Beliefs and Values; Expressive Arts; The Wider World; Science and Technology; World of Work; Health and Survival; Number Handling; The Environment; Home Management; Sport and Leisure; The Community; Communication. Students gain 1 or 2 credits for each section completed of which six are needed to achieve Bronze and 12 credits for Silver. Teamwork, Learning, Coping with problems, Use of Maths, Use of English and Use of IT. All the programmes link to internationally recognised qualifications. Entry Level qualifications can help build skills, increase knowledge and boost confidence. They are known as ‘certificates’ or ‘awards’, and are open to anyone interested in gaining a recognised qualification. Entry Level qualifications are suitable for students who are not ready for or working towards GCSEs or similar qualifications, but would like to gain a recognized qualification. They are available mainly in the ‘core’ subjects. Entry Level qualifications are usually made up of a number of separately assessed units so achievements are recognised as each unit is completed. Assessment varies from course to course but may be a combination of tests, assignments and tasks which can be written, oral or practical. For some EL courses, students have to produce a portfolio that shows evidence of what they have achieved. It can contain things like witness statements which are a written or oral account of a student’s performance, video, audio and photographs that are assessed by teachers. There are three different entry levels, which are broadly the same as the UK National Curriculum levels 1, 2 and 3. You can progress from one entry level to the next. At Entry 3, the qualifications are designed to help you move on to further qualifications, such as GCSE and BTEC Introductory or Level 1 BTEC Awards, Certificates or Diplomas. They can also lead to work-based learning, like an apprenticeship, or straight to a job. The Entry Level English curriculum includes the skills of speaking and listening, reading, and writing. Students will talk and listen in a variety of situations and for a range of purposes. They will read and respond to a wide range of literature, non-fiction and media texts. Written tasks will include writing for imaginative and functional purposes, and for different audiences. Use and apply mathematics in practical tasks, in real-life problems and within Mathematics itself. Use a range of methods of computation and apply these to problems. Use calculators and computer software. Explore shape and space through drawing and practical work using a range of Materials. Use computer to transform graphic images and to solve problems. Collect, record, represent data and draw conclusions. It is wholly assessed by teachers; Opportunities are provided for progression to GCSEs; It recognises small steps of achievement; The course is based on practical tasks. This Entry Level Course is structured to enable individuals and select combinations of units which best meet their needs. Two qualifications are available at each level: Award and Certificate. Students must submit evidence for any four units for an Award and any seven units for a Certificate. Each unit is available at each of the five levels. Through the completion of the units all students will gain practical knowledge and skills to help them to live safely and healthily and to prosper. ASDAN Short Courses are flexible, portfolio-based programmes designed to accredit up to 60 hours of activity and skills development across a range of topics and curriculum areas. The courses are multi-level, and the focus is on completing challenges and skills development according to individual ability, rather than attainment at a specific level. There are more than 30 programmes to choose form ranging from core subjects to vocational tasters to personal and social development. This course is designed to encourage learners to develop their personal skills and attributes they need in order to develop confidence in their ability to work, learn and achieve their full potential. These skills are developed through investigation into specific projects. It aims to provide broad studies directly relevant to art, design, media and related sectors. This course aims to give learners the knowledge, skills and confidence to enjoy cooking meals at home. Learners will gain understanding of how to economise when planning meals to cook at home and encourage learners to transfer skills learnt to other recipes to continue cooking for themselves and their families and to inspire others by passing on their knowledge. The course is based on the proposition that being able to cook is an essential life skill which empowers people to make changes that have benefits to health and wellbeing. Students are introduced to basic cooking skills by following recipes for simple dishes and learning how to use kitchen equipment safely. Each recipe is underpinned with knowledge about sourcing food, nutrition, hygiene and food safety where relevant. Learners demonstrate their skills by following a recipe and consider the value of acquiring skills for cooking at home and explore ways to pass on their knowledge of cooking skills to others. This course aims to grow students awareness of the importance of micro-gardening due to the lack of space in Hong Kong and growing their own food. Activities are cross-curricular in nature as students are expected to apply their knowledge acquired in Science, Maths, Geography and Food Technology as well as run projects with students and teachers across the whole school. Sessions are mainly practical enhancing teamwork, fine and gross motor-skills and metacognition. This course is an introduction to an enquiry-based project aimed at providing a base for students to become involved in Enterprise. This course aims to develop students’ personal wellbeing by helping them to embrace change, feel positive about who they are, identify and learn how to manage feelings and emotions with a wide range of people, develop empathy and social skills. Through active learning opportunities such as role play, personal experience and reflection, students are assisted with managing challenging social situations making informed choices with regards to personal relationships and accepting qualities and views of others. Students focus on identifying, expressing their feelings and emotions which will equip them with assertiveness, resilience and empathy necessary to establish positive relationships. Additionally are encouraged to develop understanding of the nature and importance of stable relationships to parenthood and family life through discussions about ways that relationships might change over time and demonstrate how to negotiate within relationships. Social thinking is the process by which we interpret the thoughts, beliefs, intentions, emotions, knowledge and actions of another person along with the context of the situation to understand that person’s experience. Social thinking is what we do when we share space with others and when sending an email, sitting in a classroom, lining up at the grocery store, reading a work of fiction, watching a funny video clip, participating in a business meeting, driving in traffic, and a host of other daily activities that involve our social interpretation and related reactions. We consider the context; take in the thoughts, emotions and intentions of the people with whom we are interacting and use that information to determine how we respond. How we think about people affects how we behave, which in turn affects how others respond to us, which in turn affects how we behave, which in turn affects how others respond to us, which in turn affects our own emotional internal and external responses. It’s an incredibly complex process that most of us take for granted. Our social thinking develops naturally and becomes intuitive for most of us. The Social Thinking course at SIS uses the framework and curriculum developed by Michelle Garcia Winner to target how to enhance and improve social thinking abilities for students who do not intuitively learn the basics or the nuances of social communication and interaction. We currently offer two basic language courses suitable for beginners – Chinese and Japanese. The four macro skills, listening, speaking, reading and writing are taught. The courses are designed to provide an opportunity for students to learn meaningful vocabulary and phrases that can be used when traveling or in the local community. This is organised and led by the ESF Career Development Service and aims to provide vocational training opportunities for Year 12 and 13 students with complex learning needs in ESF schools. It plays an important role in providing work placement or work experience opportunities for students to access the work environment , to use and apply classroom based training and knowledge in real life job situations in settings such as business , administration, retail, hospitality and catering etc. One day per week (Friday) students attend a Structured Work Placement (SWP) where they work in a supervised capacity. The placements are varied and designed to introduce students to the rigours of the workplace and for them to develop work skills in an authentic setting. The placement is supported and accredited by following the ASDAN Workright programme which provide students with information about work skills prior to starting their placement. Click HERE for further information. Examples of CAS activities include MAD week and House and Tutor group MAD activities that run throughout the year.